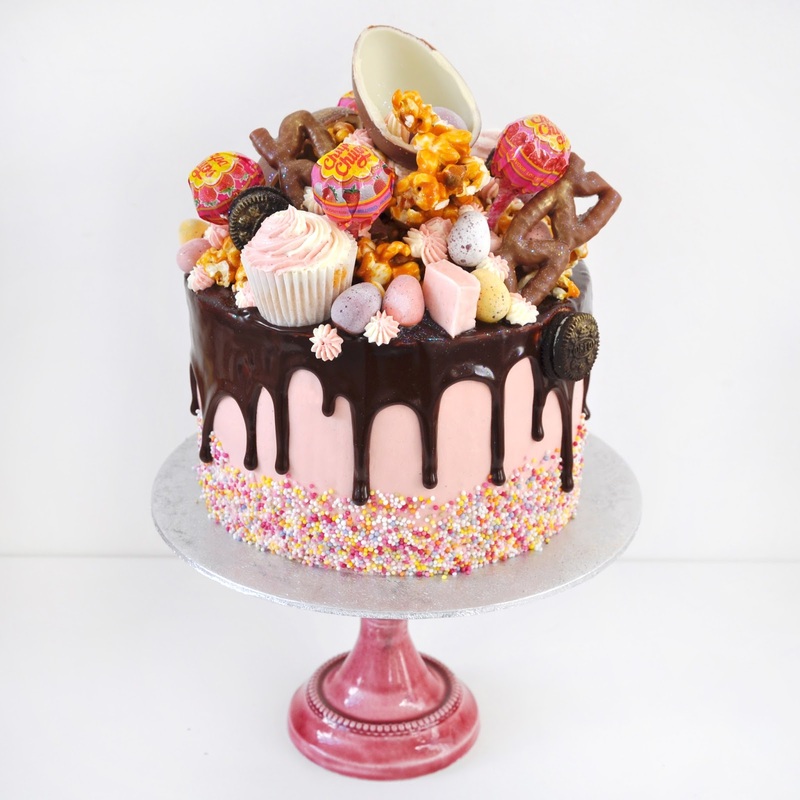 As some of you may have seen earlier on this year I put together a list of my favourite Instagram accounts, one of them being Georgia Green from Georgia's cakes. I am absolutely obsessed with her cakes, they're so creative and colourful. 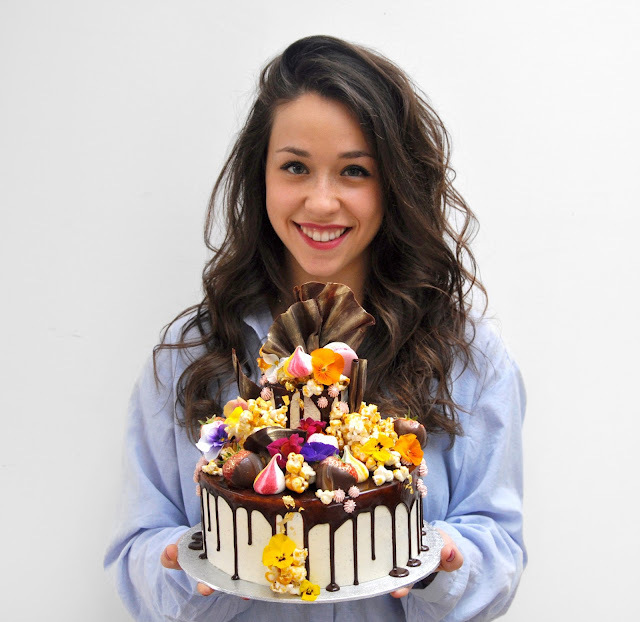 I first discovered Georgia via a cake she had made for Don Broco last year and immediately started following her. 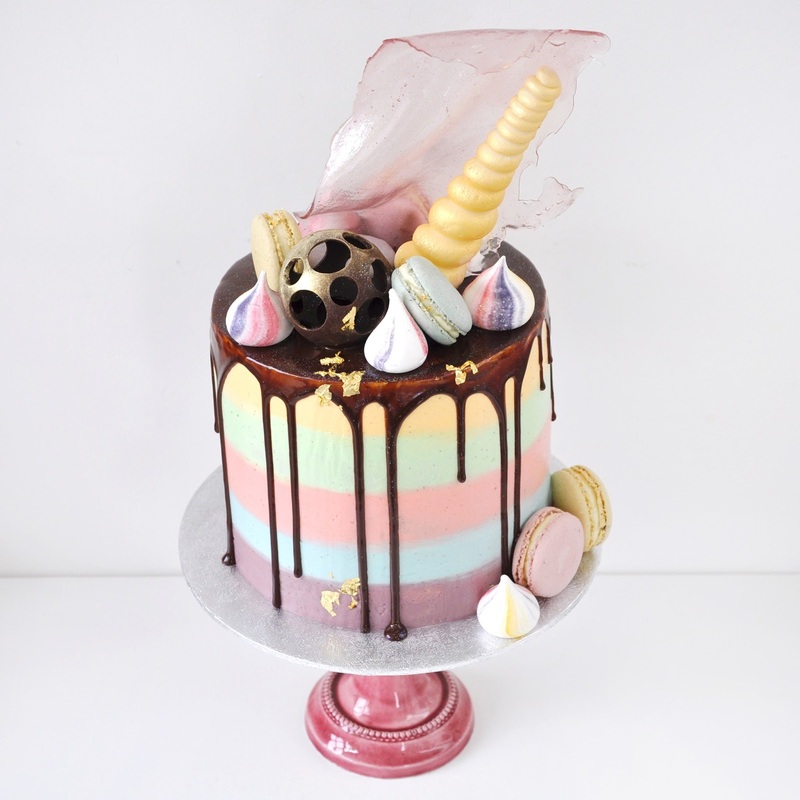 Interviews like these have got to be one of my favourite posts to do as I'm quite nosy and I always want to know more about the people behind the cake creations. So I got in touch with a few questions to find out more about the super talented baker! Hi Georgia, for those who aren't familiar with career and yourself so far could you tell us a little bit about your background? After finishing school I didn't know what I wanted to go into. Fashion design? Animation? Graphics? I knew it would be something creative. It was when I discovered Le Cordon Bleu that it occurred to me that I can actually do this for a living. I trained in patisserie for 6 months and worked in a couple of places over 3 years in which I gained so much experience - not just creativity but the business aspect of things too. I decided to go solo as word of mouth started to get around and my cake orders were coming in thick and fast and here I am today! Working for myself, doing what I am passionate about and loving every minute! Was it difficult for you to leave your job and create your own business and do you have any advice for those who would like to do the same? It was a risky move to leave my job and go solo but at the same time I got this motivation that I didn't have before as my passion and drive was 100% for myself this time. If you are completely dedicated, sometimes a risk is exactly what you need to further yourself and your career. Your cakes are absolutely stunning! Where do you get your inspiration from and have you ever felt inspired by any fashion designers or trends? Thank you! Just like most people nowadays, Instagram is number 1 for my inspiration. The style of cakes I make probably originated from lots of Australian accounts that I came across, but I've created my own style, incorporating my skills I learnt during my training. My sister works as a fashion designer so I'm in the know of trends - sometimes is difficult incorporating some of them but they definitely inspire me! Whenever I see your name on the internet, the cake you made for the DKNY & Cara Delevingne party always pops up! How did that all happen? One of the most amazing pastry chefs in the word - Antonio Bachour. I had the pleasure of meeting him in Miami when I was there on holiday - I waltzed into the reception of the St. Regis hotel and asked if he was in just to say hi. We ended up having an hour long chat and gave me so much advice, it was amazing! He's so talented! If you're to bake something for yourself what would you make? A delicious loaf of bread! What's the strangest cake request you've had to create? Probably the Cara Delevingne cake...! Your Instagram account is amazing, it's one of my absolute favourite ones to follow! Are there any bloggers or Instagrammers that you love? Nectar and Stone are one of my favourites - their page is so beautiful its almost majestic. Another is Cakes by Cliff who is ridiculously talented and Katherine Sabbath who simply has no limits! Where are your favourite places to eat in London? It can be a restaurant, cafe or bakery! Totally up to you! Franco Manca - cheap, amazing and pizza, what more can you ask for?! Whole Foods - the buffet selection is so overwhelming and you can tell everything is so fresh. The Black Penny - my sister used to work there. One of the best coffees I've had in London and the food is delicious too. This is a question I ask everyone but I find it so interesting! If you were only able to eat three things for the rest of your life what would you choose? Who knows what's around the corner! I'm working towards more filming and tutorials to become more of a food personality rather than just a business. Lots of exciting projects are always popping up so we'll see what's next! Very interesting post - her cakes are insane!